Dell makes another splash in the business laptop market with their latest addition – the Dell Vostro V131. Just what the heck makes the Dell Vostro V131 so special? For starters, it will come with up to 9.5 hours of battery life, which is pretty decent in this day and age – placing it on par with those long-lasting netbooks. After all, many of us these days are extremely mobile, and it isn’t always convenient to find a power outlet nearby when you need one, so getting all the help you can from a long lasting battery is always appreciated. Apart from being powerful, it is also thin and sleek in design, being one of the lightest and thinnest laptops from the Vostro range. It’s main target would be small business customers, where the Dell Vostro V131 can stash away an Intel Core i3 or Core i5 processor inside makes sure that you won’t be found wanting when processing power is required. To make sure you remain well connected, the Vostro V131 sports a wide range of connectivity options where among them include WWAN, WiMax & LTE (US only), Wi-Fi and Bluetooth 3.0. There is also a standard fingerprint reader for better security of your sensitive information inside, while the Absolute LoJack security software comes pre-loaded to make sure you have peace of mind, even if your laptop is stolen by someone. 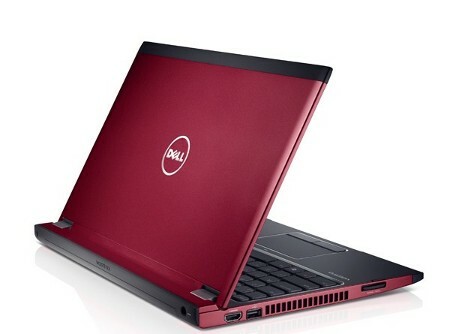 While the Dell Vostro V131 is not going to be a gaming powerhouse at any time (Facebook and other casual games are fine), that is because this is an office-centric laptop, where it is suited for everyday office operations such as document editing, presentations and email. Of course, you will also have the advantage of a built-in full HD camera for video conferencing purposes, SRS Premium Voice Pro, digital array mics and built-in Skype. With a couple of USB 3.0 ports, this is one future-forward machine – and the chiclet keyboard with a backlit option certainly suits those who love working late into the night. You will be able to bring home the Vostro V131 for as little as $449, now is that cheap or what?